Alexios, from ''Children of the Light'' by CALLIOPE, © 2014 Skira editore. Serafeim, Chryssa, Stavros, from ''Children of the Light'' by CALLIOPE, © 2014 Skira editore. Georgios, Georgia, from ''Children of the Light'' by CALLIOPE, © 2014 Skira editore. Petros, Era, Serafeim, Stavros, from ''Children of the Light'' by CALLIOPE, © 2014 Skira editore. 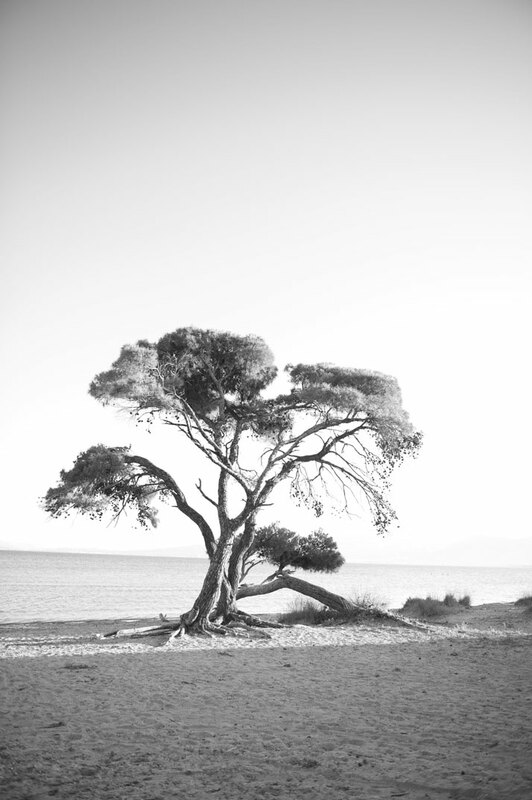 Tree, from ''Children of the Light'' by CALLIOPE, © 2014 Skira editore. 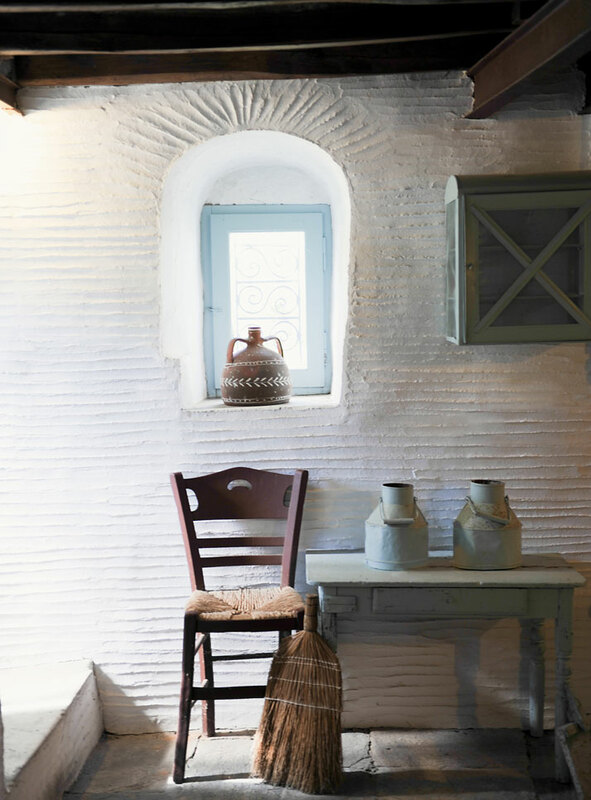 Greek interior, from ''Children of the Light'' by CALLIOPE, © 2014 Skira editore. Although the aesthetic aspects of such a crisis are the last thing we should be worried about right now, one can never underestimate the power of images, as well as the role the image itself has played throughout the whole Greek crisis story. As I presume has been the case anywhere in the world where human suffering is rife, the ugliness and destruction that have constantly been conveyed to the Greeks like a false mirror this whole time has had an effect on people. For if all we actually see of ourselves reflected in the media is pain, ugliness, violence and confusion, it should come as no surprise that gradually we come to define ourselves only on those terms and forget about anything else. In other words, over time, the images we adopt for ourselves have an impact in the way we define our own existence, talk about our everyday lives and think about our future. Aris, from ''Children of the Light'' by CALLIOPE, © 2014 Skira editore. Michael, Angela, from ''Children of the Light'' by CALLIOPE, © 2014 Skira editore. Michael, Despina, from ''Children of the Light'' by CALLIOPE, © 2014 Skira editore. Georgia, from ''Children of the Light'' by CALLIOPE, © 2014 Skira editore. Angelina, from ''Children of the Light'' by CALLIOPE, © 2014 Skira editore. 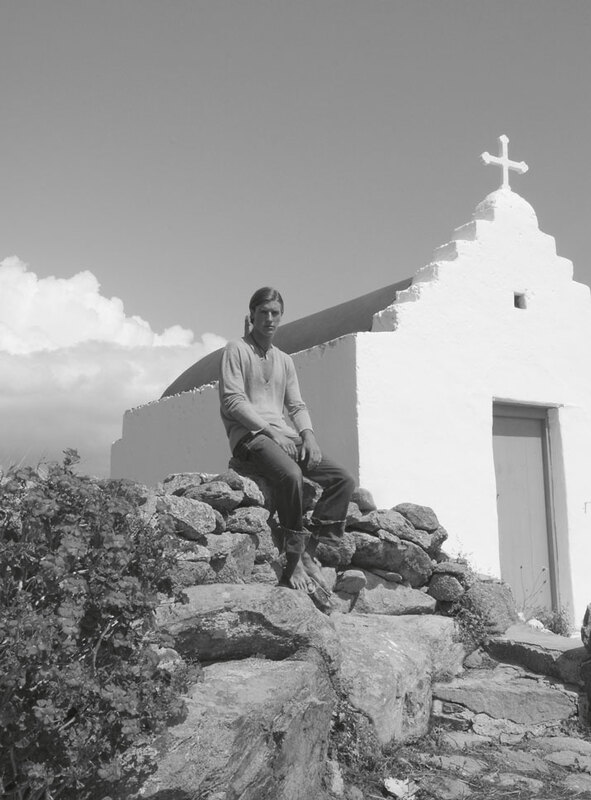 With these beliefs, it was only logical that I caught myself smiling whilst leafing through ‘Children of the Light’, the new book by the Greek photographer Calliope Karvounis. 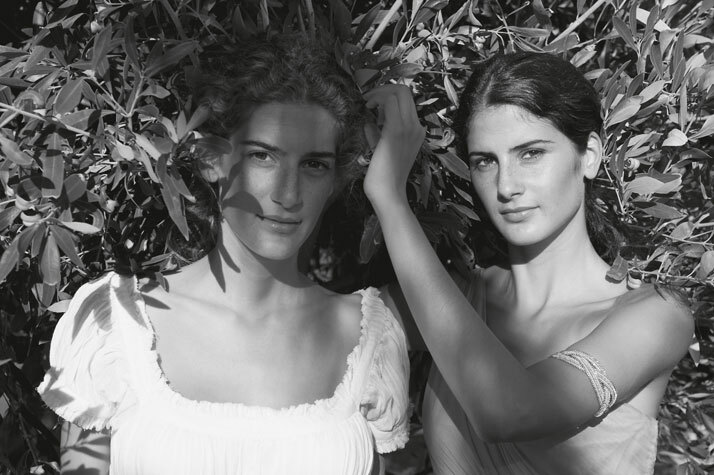 Having recently returned to Greece after a 25 year career working abroad in fashion photography, her second book, published in 2014 by Skira, is filled with images of Greece’s youth photographed in locations that seem to be out of time and history — or rather, in a kind of idealised Greece envisioned by Calliope, a vision so pure and close to her heart that it can only be the result of a deep love and of course a certain amount of nostalgia. Captured wearing traditional costumes or flowing Ancient Greek-style tunics and gowns, the book’s subjects are depicted under the relentless light of the Greek summer - a light that, as journalist Nicolas Niarchos writes in the book’s introduction, illuminates Greece’s past, present and the future. To further highlight the connection between the past and present, some of the photographs in the book are juxtaposed with excerpts from the Odyssey, one of the Greek language’s oldest ‘texts’, quoted from a beautiful translation by American poet Ennis Rees. Although many will come to the quick conclusion that a book such as this really has nothing at all to do with present-day Greece and the actual state of things, I think otherwise: this is a book that is all about our present, not as an object in itself, but as the result of a process and a certain social dynamic. Creativity and optimism can and will be the drivers to push us forward and help us redefine our self-image on our own terms, all through the younger generation of a confused nation in search of its own voice. Myrto, from ''Children of the Light'' by CALLIOPE, © 2014 Skira editore. Despina, Amalia, from ''Children of the Light'' by CALLIOPE, © 2014 Skira editore. Erietta, Charalambos, from ''Children of the Light'' by CALLIOPE, © 2014 Skira editore. Spyros, Lydia, from ''Children of the Light'' by CALLIOPE, © 2014 Skira editore. Evdoxia, Clarissa, from ''Children of the Light'' by CALLIOPE, © 2014 Skira editore. Spyros, from ''Children of the Light'' by CALLIOPE, © 2014 Skira editore. Serafeim, from ''Children of the Light'' by CALLIOPE, © 2014 Skira editore. Phaedon, from ''Children of the Light'' by CALLIOPE, © 2014 Skira editore. 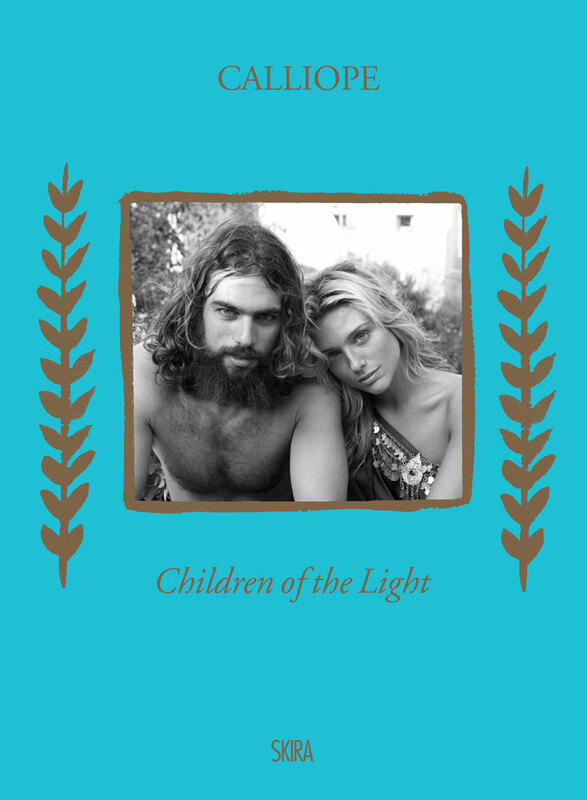 Spyros, Marianna, the cover of ''Children of the Light'' book by CALLIOPE, © 2014 Skira editore.